Here's a nice variety of rhyming retirement poems that you may share with someone that is about to retire or has recently retired. You may also share these fun retirement quotes. If you give one of these to a colleague, friend, or family member that is looking forward to retirement, it will surely help you communicate your appreciation. The first verse is very casual, and you could share it with someone that is truly looking forward to his or her retirement. I know some people love their jobs so much that they don't even want to retire. While others, count the days down until the big day. It all depends on the person and their situation. Personally, my goal is to always enjoy what I'm doing for a living. Therefore, I won't need to count down the days to my retirement. Well that's how I feel right now, but we'll see what I think in a few decades. Now it's time to change your scene. Now get ready, for some cheers. You'll enjoy the brand new view. Here's a poem for a coworker who is about to retire. If the person has put their heart and soul into their career, than this is their perfect retirement poem. Especially, since it talks about a successful career. However, you may still share it with someone that didn't have a very successful career (just remove the word successful from the first line and replace it with the word "interesting" or "exhausting"). Now let's take a look at a few humorous retirement verses. The first one makes fun of retirement and some of the things that go along with it. 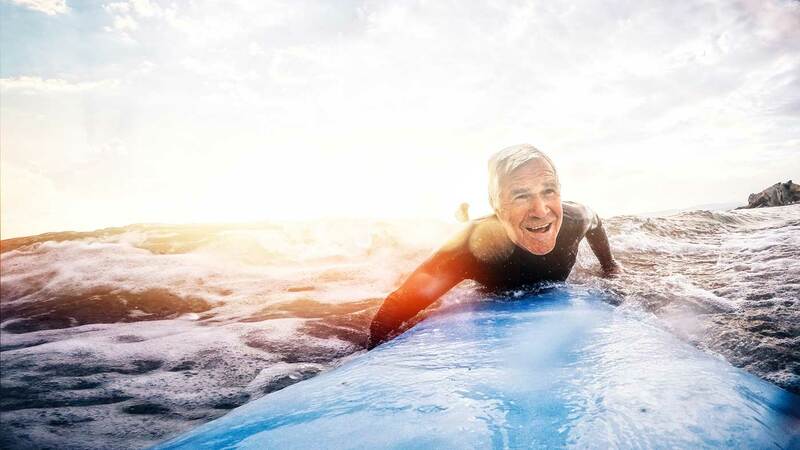 The reality is, as long as you're healthy, retirement could be a lot of fun. End of this tunnel there is light. Beginning of a beautiful stage. Rotting organs result in bad breath. Retire happy, with money or broke. We all can relate to the first line of the next poem. There would certainly be no need for alarm clocks or coffee. Freedom you get to, regularly flaunt. Your bones might be older, and a little bit sore. No schedule to follow, you're simply not tied. All afternoon, who cares if you snore. Whatever you do, there's nothing to fear. The next one was specifically written to be shared with men who are about to retire. Ideally, it should be shared with someone that worked in a physically demanding job, like any of the trades professions or assembly line or factory type of work. To leave this place, and finally retire. More than a few times, you wanted to quit. Instead it required, plenty of hammer. Our days were always filled with wit. This transition is a significant deal. When life will involve plenty of fishing. This poem is for all those women who will be retiring soon. Feel free to share it with someone you know. I'm sure it will put a smile on her face. Had to adapt and switch several careers. You always knew, quite a bit about fashion. With you around, we never got bored. Your people skills were extremely good. With you not around, awkward it'll feel. You'll do all those things, you truly desire. Read these two retirement poems for teachers and choose the one that you like the most. I'm sure your teacher will love it and think that it's a very nice gesture. Your teacher will surely feel appreciated. Shock and sadness, emotions initial. There's more to life than books and sand. Some have gone, some stuck like glue. Love thy neighbor, and show concern. If you're in a well behaved class, and your teacher has repeatedly said that your class is one of her best classes ever, than you should share the following retirement poem with her. A wonderful teacher, must you retire? We are your crowd, we'll always admire. Many skills they have acquired. Encouraged us, over the years as we grew. Now we are sad, that you must leave. Explained to us that learning is fun. Since we'll always be your crowd. We all know that nurses work very hard and do a lot for our communities. They help us when we are ill, so here are a few poems for all those special nurses out there. I think it's very important to let them know how much they mean to us and thank them for all their hard work. It's your retirement, here's a verse. All hard work, there was no trick. Gained a lot of healthy skills. You took the time, assessed their state. You took charge, and calmed the team. The second poem dedicated to nurses is a bit more funnier and comical. Hope you enjoy it, and don't forget to share it. You'd made us laugh, really fast. It was just excessive blood. Maybe because you are half Hispanic. But we still sense, your internal fire. Our sister forever, always we'll miss. Here's a poem for Gaynor Pritchard, who was a nurse for many years in Wales. Here's an inspirational retirement poem that is meant to calm retirees from stressing about their new stage in life. This poem is meant to remind them to just relax and enjoy retirement and simply take it easy. You have done great, those are the facts. Go out for lunch, eat a sweet dish. No longer will you feel trapped. If you wish, spend it outdoors. You won't need to pay so much tax. Inside your mind, there is a voice. Here are a few poems for a boss that is approaching retirement. It's always much easier to share these type of poems with your boss if you had a good working relationship with him or her. The entire company understands its loss. A happy retirement you deserve. With your guidance, the company evolved. If you'd like, you could run for mayor. Mutual goals we worked to exceed. We'll call you, if there's something we need. Best wishes, we'd like to extend. Chronic complaining, you have survived. Our growing friendship, we'll always treasure. You were honest; your talk was real straight. Learn to relax, your days shall be fresher. No more worries, who to employ. Thanks for taking the type to read our retirement poems. You are welcome to share these poems with anyone in your life that is close to retiring or has recently retired. The only thing we ask is that you give us credit (link to our site if you decide to share it online).